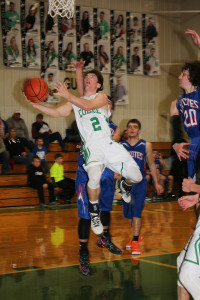 Reed Harter scored 28 points as the Colome boys basketball team defeated Jones County 68-41 on Jan. 19 in Colome. Kelly O’Bryan added 21 points. Jackson Kinzer pulled down 7 of Colome’s 26 rebounds. Holden Thieman and Will Cahoy each grabbed 4 rebounds. Colome will host Platte on Jan. 29 in a boys and girls doubleheader.